How can I allow my users to Create a complete alert (where you can set a list to send) without giving the Control Total? They are in the "`Contribute" group but It allows them only to alert them-self. 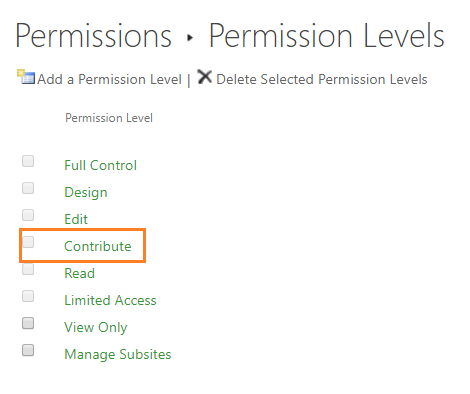 By default, The Users with contribute permission Levels can only Create Alert but they can't Manage Alerts - Manage alerts for all users of the Web site. Go to Site Setting > Users and Permissions > Site Permissions. From the above ribbon, Click on Permission Levels. Note: you can copy the Contribute Permission level to build and customize your own permission level, then use the customized permission level as you prefer. Not the answer you're looking for? 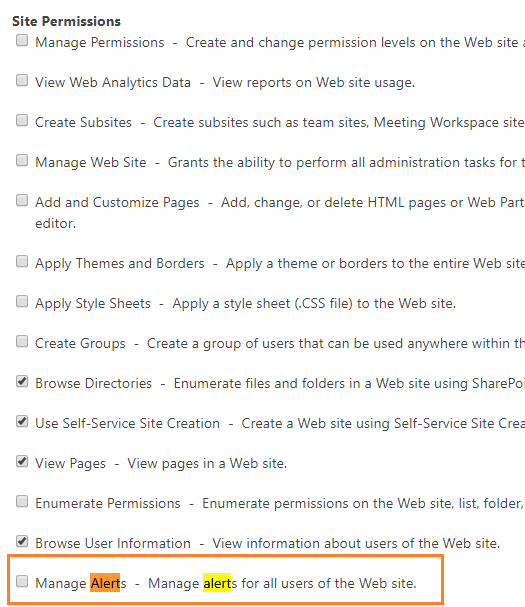 Browse other questions tagged sharepoint-enterprise sharepoint-online permissions alert item-level-permissions or ask your own question. Can a user add users a group without having “Manage Permissions” permission on a site?